Depression is on the rise across all age groups, according to a new report from insurer Blue Cross Blue Shield. Between 2013 and 2016, the number of Americans diagnosed with depression jumped 33 percent. The rates increased by 63 percent for teenagers and 47 percent for millennials. 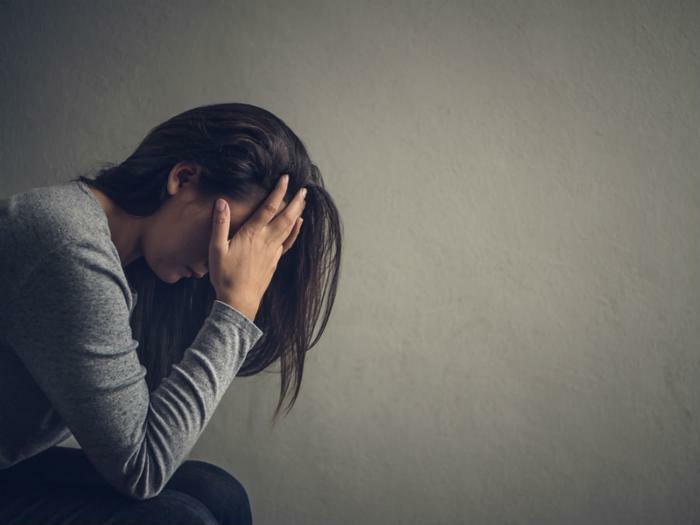 Breaking the numbers down further, depression increased by 65 percent in adolescent girls and 47 percent in adolescent boys, which is in line with a larger trend that shows that women of all ages were twice as likely to be diagnosed with depression as men. The data was based on insurance claims made by 41 million customers. Blue Cross Blue Shield stated the numbers could have been even higher if people without insurance had been taken into consideration. In a press release outlining the findings, psychiatrist Dr. Karyn Horowitz said the increase in depression among adolescents could be associated with a "combination of increased electronics use and sleep disruptions in already vulnerable individuals." "Increased use of electronics, video games more commonly in boys and social media/texting more commonly in girls, can lead to increased conflict both within the home and with peers," Horowitz said. Spending prolonged periods of time on social media could also be causing more feelings of sadness and isolation among young people. "In preliminary literature, high users of social media have been linked with higher rates of social isolation than low users," Haywood added. "It is important to further explore this relationship." Chronic health conditions are another factor behind the increase in the number of depressed Americans. Eighty-five percent of people who reported major depression also suffered from another serious chronic condition. Nearly 30 percent had four or more other health conditions. Depression can affect mood, productivity, appetite, and general wellbeing. Other signs of major depression include (but are not limited to) negative thinking without being able to see a positive solution, agitation, lack of focus, irritability, fatigue, and suicidal thoughts. If you are experiencing any of these symptoms, seek the advice of a medical professional.